I often hear phrases like: “I don’t pray in front of others”, or “you pray so much better than me”, or, “I don’t have the right words”, or my personal favorite, “pastor, you know all the right words….”. Of course, there are variations on these but I think you get the point. Prayer is not something you do better or worse than someone else. On the other hand, we shouldn’t trivialize prayer either. Prayer, in large part, defines our relationship with God made real to us in Jesus by his Holy Spirit. Yet, I know that there is struggle as I, too, go through wilderness periods where I wonder, “is any of this getting through”. 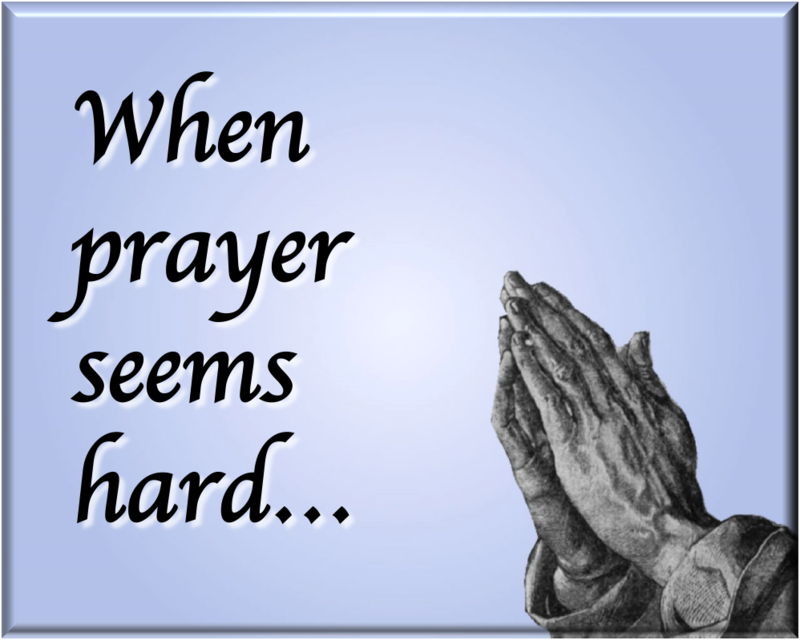 So, what can you do…when prayer seems hard? Certainly, one of the easiest, is to have a book of prayers written by others – there are many available. Your Bible is filled with truth…so open it up, pick a verse and pray – talk to the God who loves you and wants to hear from you and wants to speak to you. Better yet…for everyone who reads this particular post – why don’t you add one additional verse you think would be beneficial to someone else – we can grow together! “Faith First” is something that you will hear as you worship at First Pres these days. Faith first is about priorities, about asking ourselves what is important and to challenge who we are as followers of Christ. Recently I came across a prayer from St. Francis of Assisi’s that is like a creed, a reminder of who God is. What a great reminder about the foundation of our faith, a way of knowing who is the one that walks along side us in our faith journey. I pray that as you pray along your faith will be strengthen this day. It is so easy, when we fall on hardships in our lives, to get down, and not see past the negative. In my own life, I have gone through some times in my life that seemed bleak, and it really took some doing in the worst of times to see the ladder to climb back out of the hole I was in. In our recent history, we have read so many news stories of people who have sunken into such great, deep, depression that they take their own lives. It may seem unfathomable to many to reach this point, but for too many, it is a reality they cannot escape. So, here, in this passage, we have Paul, stuck in prison. Why is he stuck in prison? He was preaching the Gospel, which was frowned upon in Rome. In the Roman Empire, Caesar was looked upon as not only the top dog in the empire, but he was also seen as a God. This idea of the leader of civilizations being seen as a god was not uncommon in ancient times. In Egypt, the pharaoh was seen as a descendant of the god of the sun, Ra. The Mesopotamians and Chinese also claimed god status for their rulers. So when Paul went around proclaiming that Jesus is Lord, that didn’t sit well with the Romans. So, for what we would consider to be for no real good reason, Paul spends time in prison. From what I have read, Paul spent about TWO YEARS in prison for his “offense.” I would say that he had just about every right to feel frustrated. Angry. Depressed. Distraught. Thankful? In this short passage, Paul exclaims how excited he is that his imprisonment has actually done the opposite of what the Romans probably intended. Rather than extinguishing the flame of the Gospel, it fanned the flames. The Gospel continued to spread. In his unfair imprisonment, Paul found the silver lining. So here we are now, in 2017, with what seems like a world that is going out of control a bit. Threat of nuclear war. Continued racial discrimination. Poverty. Gang warfare. Addiction. We have a lot to be stressed about. Worried about. Afraid of. But through it all, we have the Gospel. The world might try to knock us down time and time again. But we must rise. Matthew 28:19-20 tells us “19 Go therefore and make disciples of all nations, baptizing them in the name of the Father and of the Son and of the Holy Spirit, 20 and teaching them to obey everything that I have commanded you. And remember, I am with you always, to the end of the age.” He is with us. We are not alone. Do you regard yourself as a solid Christian, a true disciple of Jesus? Do you pray daily? Do you read the scriptures daily, even a devotion, or such? Do you say things like,”Praise the Lord,” or “Amen,” or “Have a blessed day?” What criteria determines a good Christian? Can we believe that Christ is Lord and do nothing else that would exemplify a Christian life? How simple or complex is Christianity, what are it’s demands or conditions? These people who were following Jesus were giving their time and resources to the cause of Christ. They had left their homes for a while, they were tired, they were seeing His miracles, His healing, His feedings, they were following, now. When put to the test though it appears they didn’t have it in them to go all the way. All of these passages clearly indicate a complete surrender to a new way of life. Of complete devotion to Jesus Christ. Of being filled with the Holy Spirit daily. Of glorifying God with our lives daily. Do you feel completely consumed by Christ, have you ever been ridiculed and cast aside for your beliefs? I hope Christ is real to you, and that you are consumed by His love, to the point of saturation. Preface: This passage reviews a section of Israel’s wilderness walk after the Exodus, from Egypt on their way to the Plaines of Moab. Review: God serves warning to the complainers (11:1-3)…Their diet never varies (11:4-9)…Eventually their complaining gets to Moses (11:10-15), who is tiring of this “road trip”…The LORD responds to their complaints with meat for a month (11:18-25)…God supports Moses’ efforts by forming a steering committee – a group of 70 elders (11:16-17)…God’s Spirit enables two men to become prophets (11:26-27)…The meat served is in the form of low flying, presumably so they can be swatted or netted from the air, quail (11:31-32)…Before Israel get’s a chance to floss their teeth teeth after the greatest foul feast ever recorded, God judges Israel for her missteps (11:33-35)…Miriam and Aaron don’t care (12:1-2) for Moses’ choice in women…The LORD now fills of Moses’ critics (12:3-9)…Because she’s a malcontent, Miriam contacts a rash (12:10-13)…After a week away from the community, Miriam heals by the application of an oral ointment applied to her face by dar, old, Dad (12:14-16), some call this spit?! Commentary: This desert road trip may mot be building peoples character, but it certainly is revealing it…Overall, this passage illuminates Israel’s lack of trust or faith in God, hence God’s ire…Yet, they are completely depended upon him for all the stuff that sustains life…That said, even what God provides is simply not good enough…Their leader, Moses, is at a loss as to what to do – “Uneasy is the head that wears a crown” (King Henry IV, Part II, Act II, Scene I)…The Spirit blows where it will and not where it won’t…Miriam and Aaron appear equally guilty of the same sins (12:1-2). Aaron says so…Only Miriam is afflicted, possibly because of Aaron’s priestly (see Ex. 39) position…On the other hand, he should have know better…This seems like an example of “rank having it’s privileges,” etc. This passage is an amazing prayer. I encourage you to pray this prayer each day this week and see what God will do in and through you. Dr. Martin Luther King Jr. spoke about three dimensions of love, seeing them as the key to a complete life. He said, “Love yourself if that means healthy self-respect. That is the length of life. Love your neighbor as yourself; you are commanded to do that. That is the breadth of life. May we know, understand, and be a vessel for the deep love of Christ, that we many love God and love our neighbor. “I believe the unarmed truth and unconditional love will have the final word in reality.” Martin Luther King, Jr. Yesterday, Bo spent some time on prayer and I thought I would continue today. Prayer is not only at the heart of the Christian life, it is also at the heart of a lot of Christian frustration, misunderstanding, and even pain. I often see a call to “prayer warriors”…most often when there is crisis in the caller’s life. A call to prayer is important…but only in times of crisis? Some natural questions arise…How do we pray? How does God answer prayer? While I admit that Luke packs a great deal into today’s passage…the Lord’s prayer, a parable on prayer, and then several sayings about prayer…it, nevertheless, is a challenge for us. Prayer, in this passage, is not primarily about getting things from God but rather about the relationship we have with God. 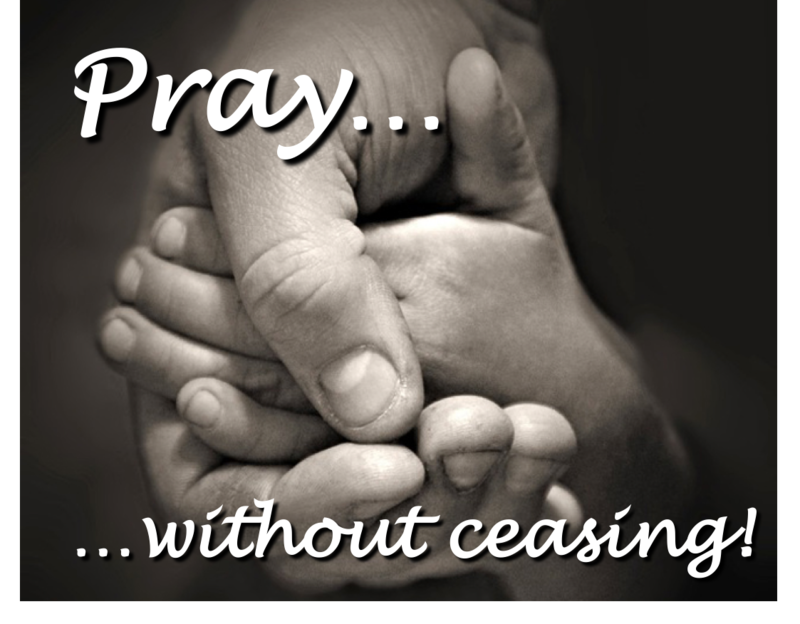 A relationship that allows us to pray maybe our best 2 prayers…”help me, help me, help me” and “thank you, thank you, thank you”. Ultimately…I think Jesus invites us to be honest in our prayer life…an invitation that comes from our relationship with him. An invitation that says “‘I am with you always’, so why only come to me only in times of crisis or even simply need.” We are invited to a deeper, more honest, and more trusting relationship with the God who desires to be known chiefly as loving parent, provider of all that is good and protector of all in need. While this may not give us everything we want, it does provide what we most need…”our daily bread”. As I was reading the passage from Acts, I was smiling. Smiling the stubbornness displayed by Agrippa and also at the boldness that Paul displays in his answer. In a way this is a conversation that can speak about who we are as Christians. From time to time I had different interactions with different people that follow the very pattern: I will listen to what you have to say, I will respect what you say but you will never convince me to change my ways. And you know what? I am thankful for those conversation, because if nothing else those become a starting point for prayer. I pray for them that God will continue to speak in to their lives and for me to have another chance to be that Christ presence in their lives. So what will it take? It takes perseverance, it takes commitment and it takes faith to be praying for people. And that is what we can do, be faithful and be praying for people. I pray today for you as you read this that you will be encouraged to stand before God and pray that you would be bold just like Paul to speak the promises of God to the people around you but also to be faithful in praying for them that God will work in their lives. I’ve decided to take a slightly different approach to my blogging for the time being. We have been working through various lectionary series for quite some time, which has not been my strong suit. So, instead, I am going to try to focus on one entire book for a while to see how this goes. For whatever reason, I have decided on Philippians. As all letters typically begin, Paul begins his letter to the church at Philippi with a greeting. Paul is a servant of Christ. Another word for servant in this case may be slave. He was a slave to Christ. He is completely submissive to Christ. He is in complete obedience of Christ. Who exactly is he greeting? Saints, bishops, and deacons. Typically, when I think of saints, I think of dead people who did great things while they were alive. Saints Peter, Paul, and Mary, for example (not the band). So I looked it up to see what Paul meant here. What I found is that “‘saint’ is derived from a Greek verb (hagiazo [aJgiavzw]) whose basic meaning is ‘to set apart,’ ‘sanctify,’ or ‘make holy’” (Biblestudytools.com). According to Biblegateway, bishops and deacons are overseers or leaders. So, Paul is writing this letter to people who have been set apart for and by God as leaders and overseers of The Church. Paul is thankful for the service of the aforementioned people and what they have done to propagate the church in this region of what was once Macedonia. In Paul’s day, this region would have fallen within the boundaries of the Roman Empire. The Romans, of course, were pagans, and there was great persecution of Christians throughout the empire. Paul even spent time behind bars in Philippi for exorcising a demon and preaching about Jesus as Lord. Yet, despite that, an early Christian church existed in Philippi, and he is giving praise to those who are faithful followers of Christ. And Paul prays that the saints, bishops, and deacons of Philippi continue to grow in their faith so they are fully prepared for when Christ makes his return. One final thought about the last verses; Paul’s prayer at the end of the passage. Tonight at the midweek family night at church, in the men’s Bible study group, one thought that was discussed is that we (all) are a work in progress. Paul is making that exact point here. His prayer is for continual growth in the faith. The receivers of this letter are not perfect. Most likely, they are far from it. Just like me. Just like you, most likely. We are human, and have faults, and have room for constant improvement and growth. May we all continue to grow, together. To learn, together. So that in the day of Christ, we will have produced a harvest of righteousness.